Two complimenting raven's skulls, symbols of a strange and beautiful darkness, when together create a discreet heart of bone, and when apart become covert tokens of a netherworld affair. 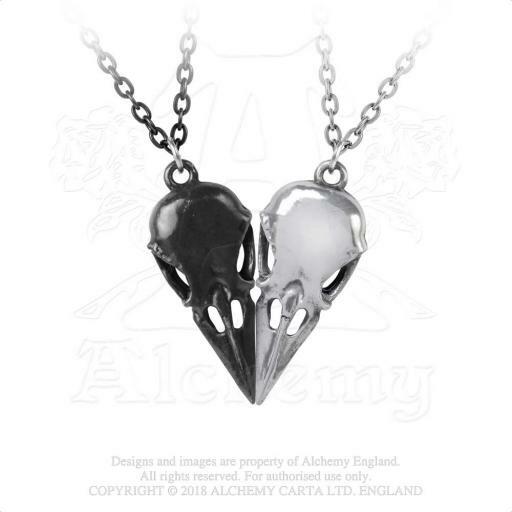 A double pendant necklace; a pair of complementory pewter raven's skull pendants making a heart-shape when held together, to be worn as one with a double chain, or separated into two pendants. 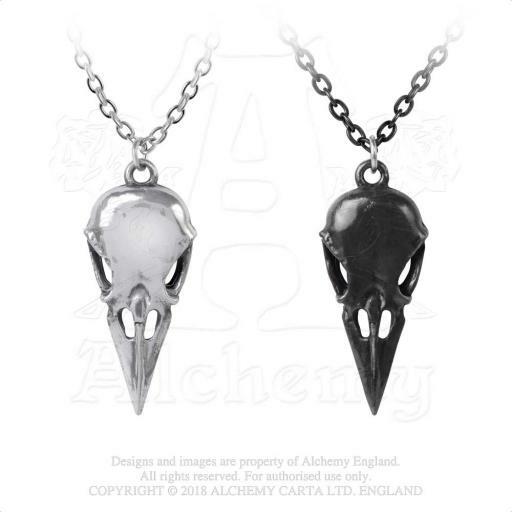 One skull is in a bright polished pewter finish on a bright trace chain, while the other is black pewter on a black chain. The separate chains are each 18" (23cm) long.